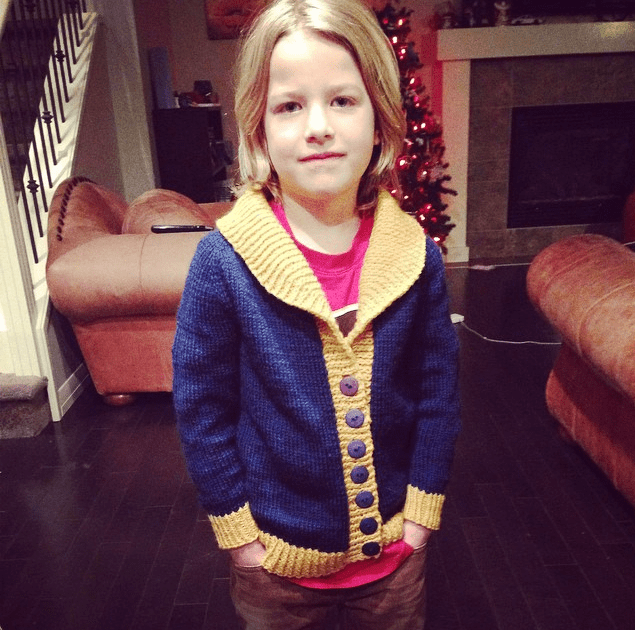 I knit the 6-8yrs size for my nephew Sloan, without the front pockets. I used the Galway Worsted, which is 100% peruvian wool, and a personal favourite of mine. 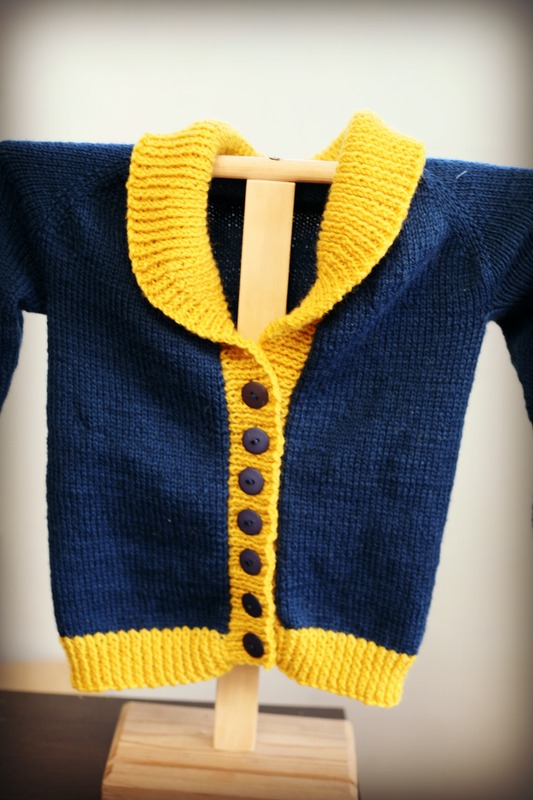 Thanks to all who participated in the KAL, and a big shout out to Tin Can Knits, for such a fantastic pattern, check out their website for all their fantastic patterns, or stop by the shop, we have all three of their books in stock! My nephew wearing his new Gramps Sweater!